Everyday, a massive amount of digital data points are generated from countless personal medical devices, such as blood glucose monitors and insulin pumps. Countless more data remains uncollected. Recent advances in machine learning have made it possible to use more than just aggregate data of large patient population to improve patient care; medical care can be improved for individual patients. This idea has been inspired from the work of Prof. Russ Greiner at University of Alberta, Edmonton, Canada and his students at the Alberta Innovation Center for Machine Learning (AICML). Currently, patients with Type I diabetes must inject insulin several times a day, to keep their blood glucose level in an acceptable range. The amount of each injection is given by a (parameterized) formula that uses the current BG, as well as the amount of carbohydrates that s/he is about to consume, and the anticipated exercise, etc. As this specific formula can vary from patient to patient, each patient maintains a ”Diabetes Diary” (DD) that records all of this information, several times a day. Best medical practice requires patients to keep tedious and pedantic logs about the amount and types of food they eat, daily exercise, blood glucose readings, insulin taken, etc. The patient’s diabetes team will periodically examine this DD, to adjust the formula for this patient. Unfortunately, this important feedback may be infrequent or inaccurate, as doctors take into account the totality of large datasets of patient health when making their adjustments. Furthermore, because patients see little immediate benefit to doing these tasks, data that could save and improve both their lives and the lives of other diabetics is often left uncollected. By connecting diabetics with others, we establish an electronic support network for diabetes while also gamifying data collection. Never fear, the doctor is here, and it’s right in your pocket! DataDoc makes it fun for patients be compliant with physician instructuctions regarding the logging of health data, and uses this health data to derive meaningful insights among both an individual patient’s data and across aggregate patient population’s data. A slick interface helps with visualization of data allows people to develop a social network with other diabetics, and enables patients to place bets on their continued compliance in order to raise money for charity. The resulting data can be used for generating insights about: (1) when a patient needs to see a doctor, (2) how to reduce medical errors, (3) the best ways to improve research methods; (4) and, see how a patient’s multiple conditions interact. DataDoc uses social-networking, machine learning and game-ification to reduce the morbidity and mortality of diabetes and related illnesses. DataDoc helps users interact with others sharing the struggle of living with type-2 diabetes in order to establish a supportive environment to help users manage their illnesses. By creating novel incentives for patients to share their data, such as by having patients make pledges to charity in order to increase documentary compliance, we can both help individual patients keep on track of logging information essential to their medical providers, while establishing the robust datasets needed to provide patients with personalized medicine. Datasets from Johnson and Johnson are used to predict the efficacy of current medical treatment and the interaction between a patient's diabetes type-2 and their other medical conditions, such as obesity and cardiovascular issues. You can also add your friends and other connections and make a group. Each member of the group pools in an amount of money and is encouraged to check his/her insulin dosage. The one who checks that the least number of times loses and needs to DONATE to a charity referred by the one who is the winner in the group. Sweet stuff, right? Early examination of the Johnson and Johnson data showed especially promising, but further analysis suggests that improved machine learning models would greatly benefit for more robust data sets. Attempts at finding more data online encountered several problems. Generating sufficient data from back-calculation did not produce data that corresponded well with real-world data gathered by patients; insulin dosing is such a patient specific task that using the one-size-fits all formula taught in medical texts would not produce results that reflect optimal dosing for patient cares. In fact, because diagnosing insulin is such a highly iterative process, relying on real-world data-driven approaches is essential for improving on the delivery of insulin. Because we learned we needed this much more robust data to improve the ability to create meaningful insights, we decided to gamify patient's compliance with recording their data. If we could incentivize patients to log the right information, we could increase the accuracy of future algorithms, and gather data sufficient to gain meaningful insights in more than just how the standard variables used to predict insulin could predict diabetes. With such data, robust datasets and variables such as co-varying medical issues, daily stress and other illnesses that affect the mobidity and mortality of diabetes could be incorporated into future prediction models. Two of our team members are both inexperienced hackathon goers, both who hadn’t gone to more than two hackathons prior to today. Despite this, all members of the team managed to contribute to make an awesome product. We believe all members our team’s ability to work together is directly reflected in the quality of our end product. We are also really proud of our front end. It worked out to be a very sleek and cool end product. PennApps was full of learning. We learned about so many great APIs which the companies have to offer. We used the Johnson & Johnson API for Diabetes analysis but the inconsistency of data points made us learn the most effective way to merge them and make a consistent data out of it. Also, we built a Machine Learning platform using Microsoft Azure and trained our model using this consistent data. Tweaking the algorithm to help increase accurate predictions was also one major thing we learnt. Designing the UI and making the back end data compliment the front end was also a great learning experience. As DataDoc begins to generate more robust datasets, we increase our capability to derive insights about the interactions between a patient’s exercise routines, food intake, blood sugar, insulin-sensitivity and other medical conditions. Future machine learning applications that are already in the works include: (1) predicting when a diabetic patient is undergoing metabolic stress by monitoring these variables and checking for a sudden increase in demand in insulin; (2) providing an aesthetic interface for healthcare providers to see patient’s inputted data ; (3) and, increasing the number of money games patients can play to raise money for charity while ensuring continued log compliance. 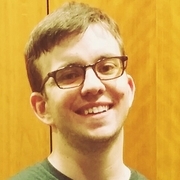 Evan DeSantola is a full stack developer interested in machine learning. He's an undergrad in CMU's School of Computer Science. DataDoc is currently down due to an expired Azure pass. If you are interested in seeing datadoc updated, please contact us. We are eager for sponsors and collaborators on all our projects!